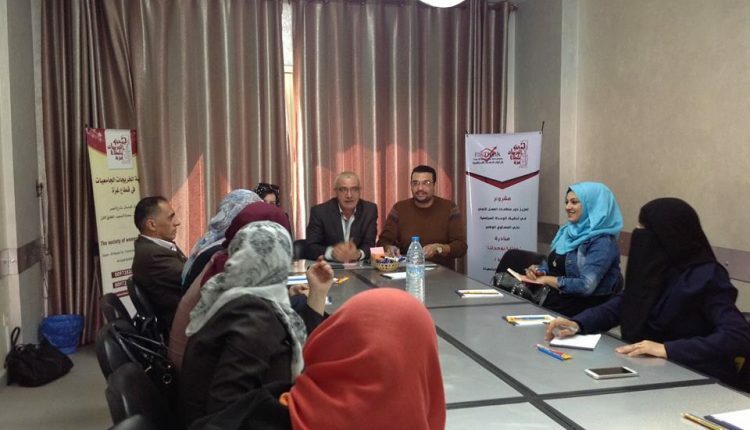 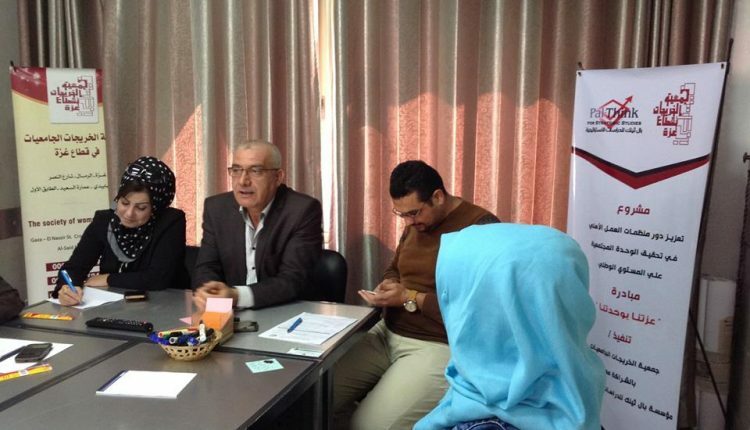 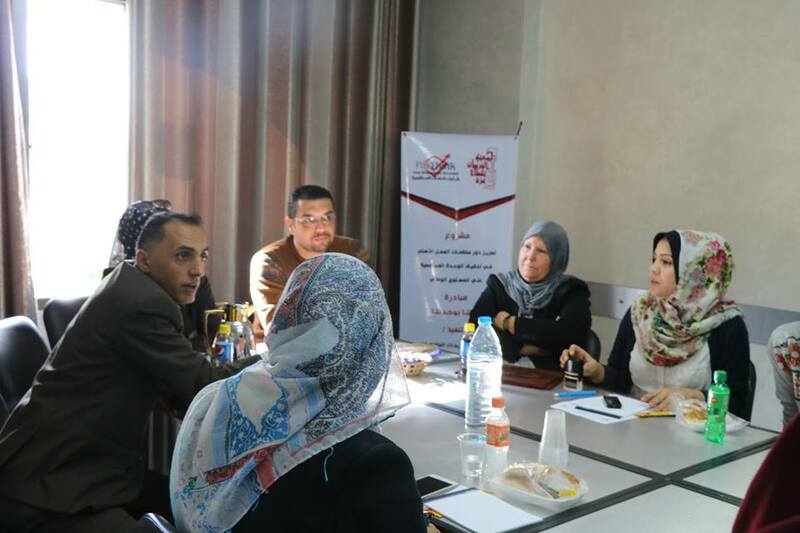 The Association of Female University Graduates in Gaza held a workshop entitled “Community Reconciliation” on Sunday, 19/11/2017, in the presence of Mr. Omar Sha’aban, head of Pal-Think for Strategic Studies. 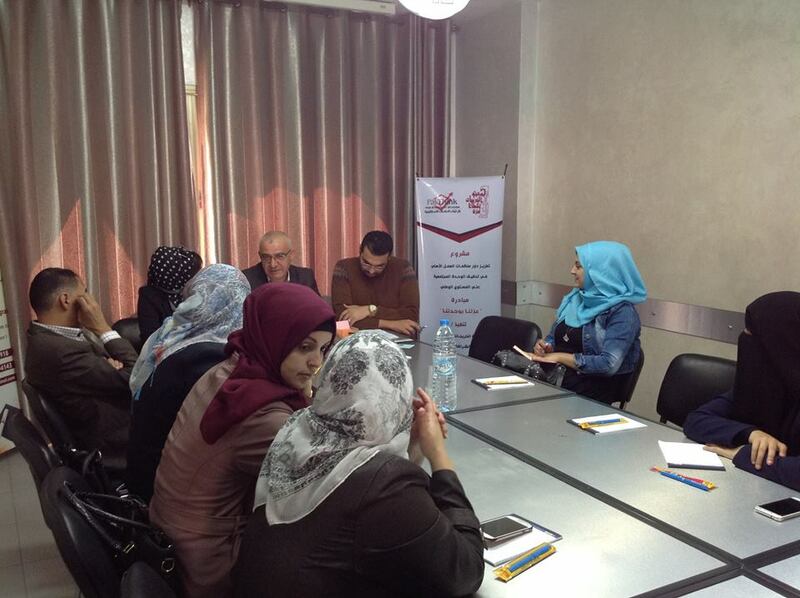 Many participants during the meeting spoke about vital issues. 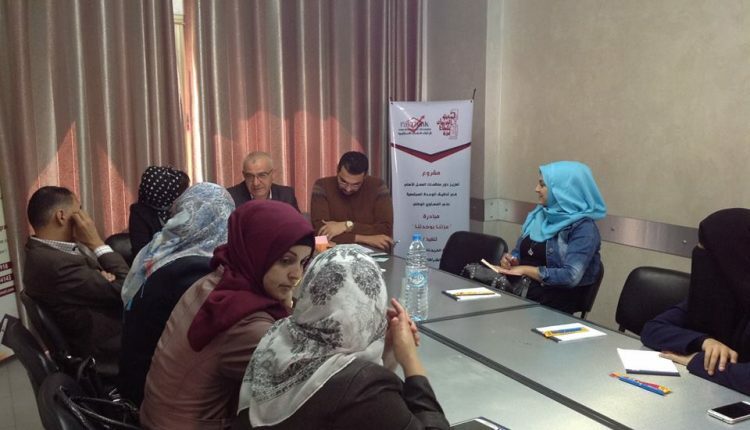 For instance, they spoke about the Palestinian women’s role in struggling against the Israeli occupation, contributing and participating in building the Palestinian political system at various levels, as well as their active participation in ending the division and restoring national unity. 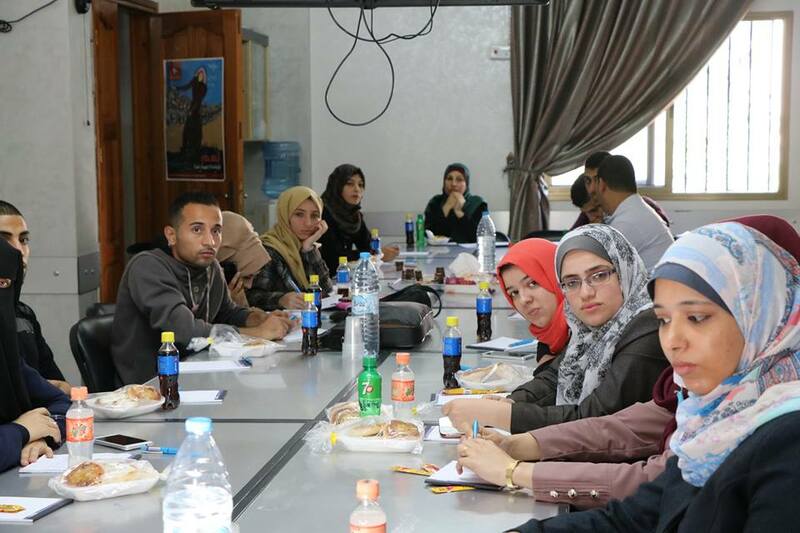 The Palestinian women do their best to help ending the division issue despite all the attempts of political exclusion and marginalization. 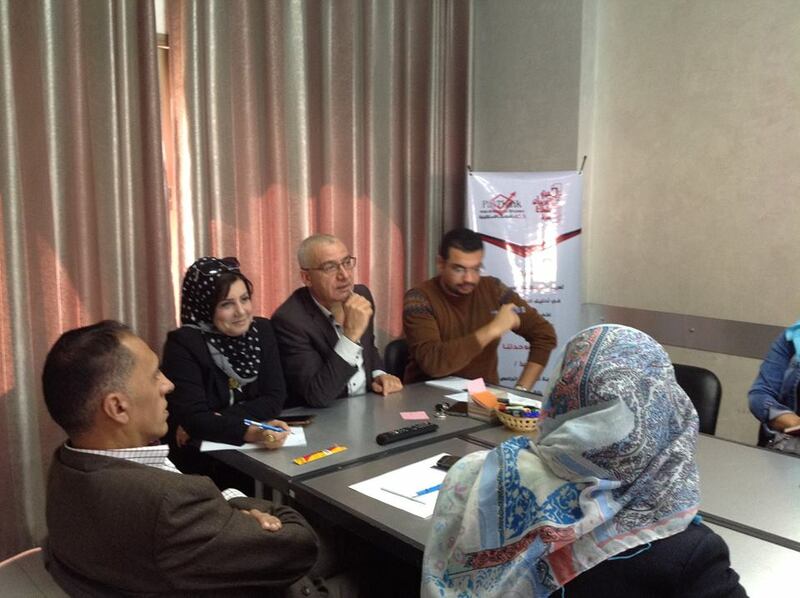 After that, they spoke about the role of youth in facilitating community reconciliation. 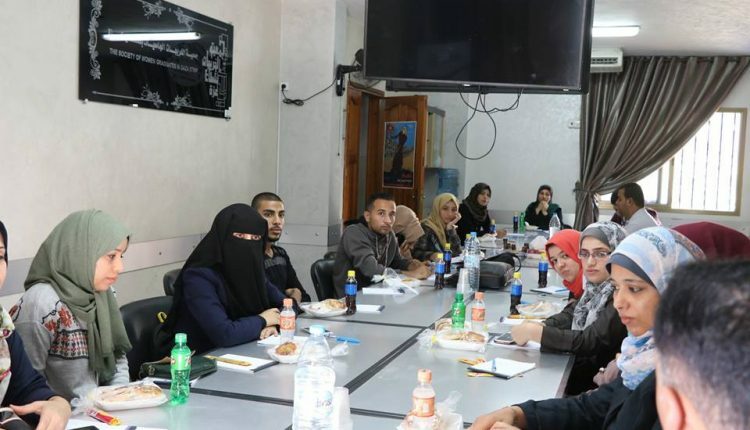 Besides, they confirmed that the active participation and serious contribution of young people in political life can only be achieved through respect for them as a special group which has a considerable vision of the future and creative energy. 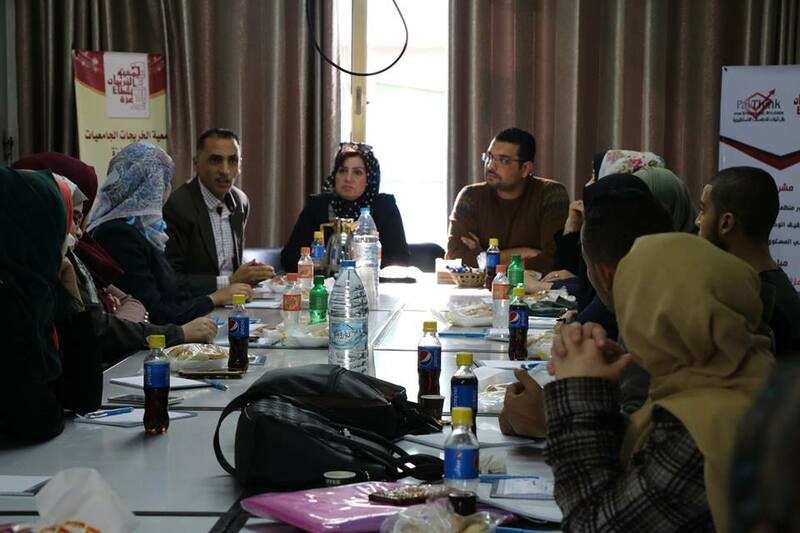 Young people have the capacity to keep pace with humanitarian and social development, hence. 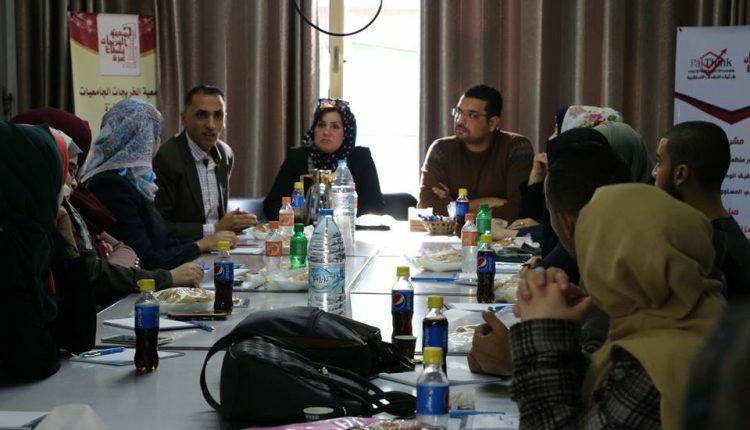 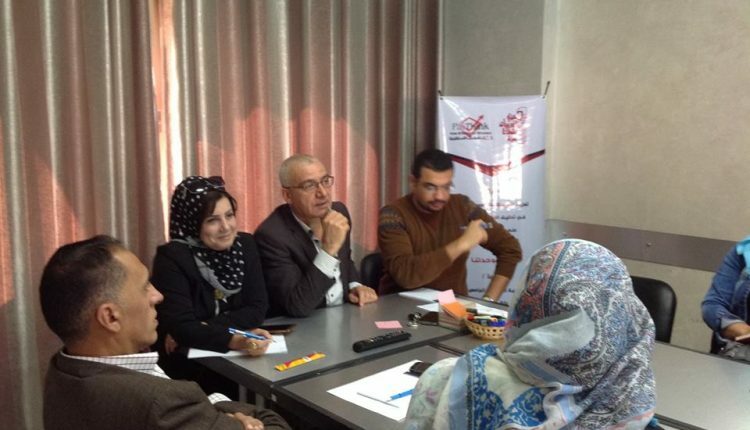 The attendees also discussed the impact of the process of community reconciliation on the university graduates in the Gaza Strip (reality and hope). 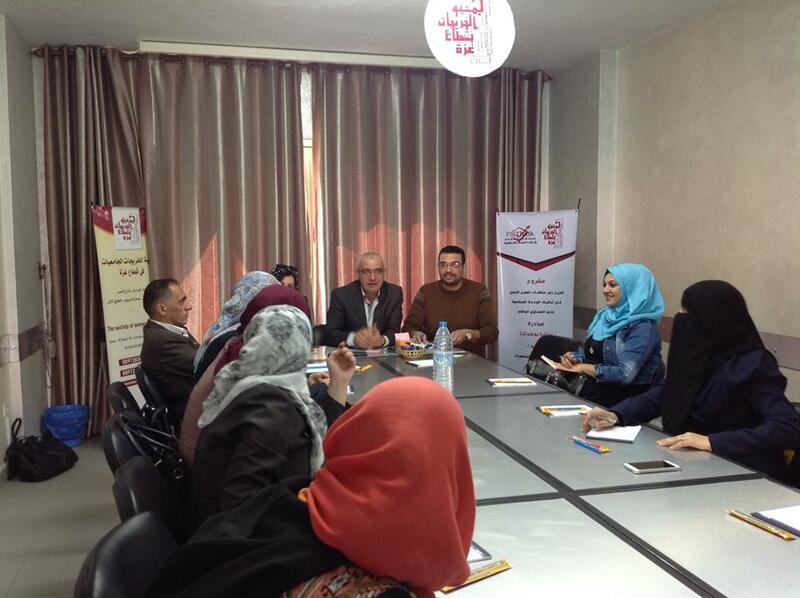 1- Uniting the efforts of youth to develop the Palestinian society. 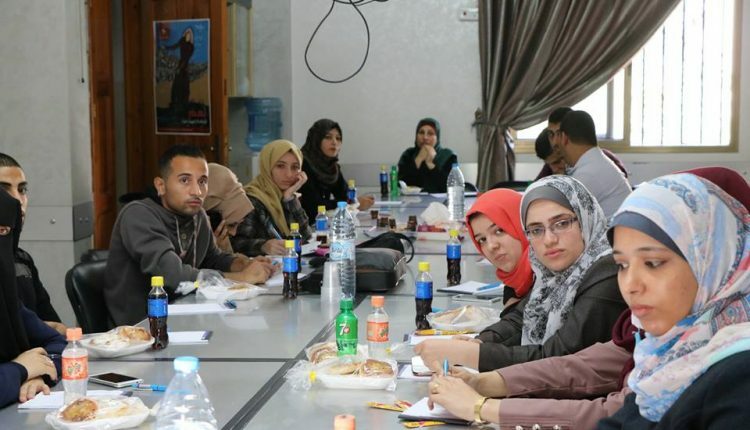 2- Creating a joint movement between Gaza and the West Bank in which all the demands of the youth are determined to create a means of pressure on the public opinion. 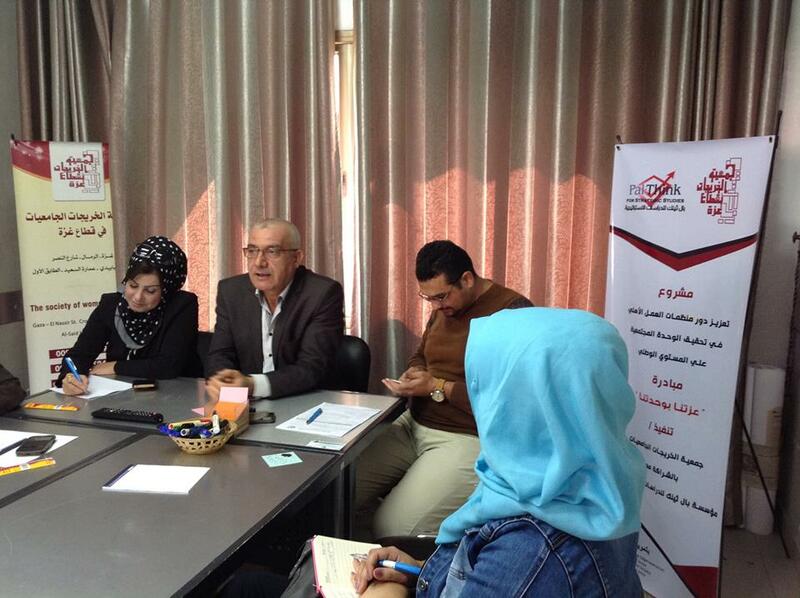 3- Conducting awareness campaigns so as create a youth movement capable of claiming their rights. 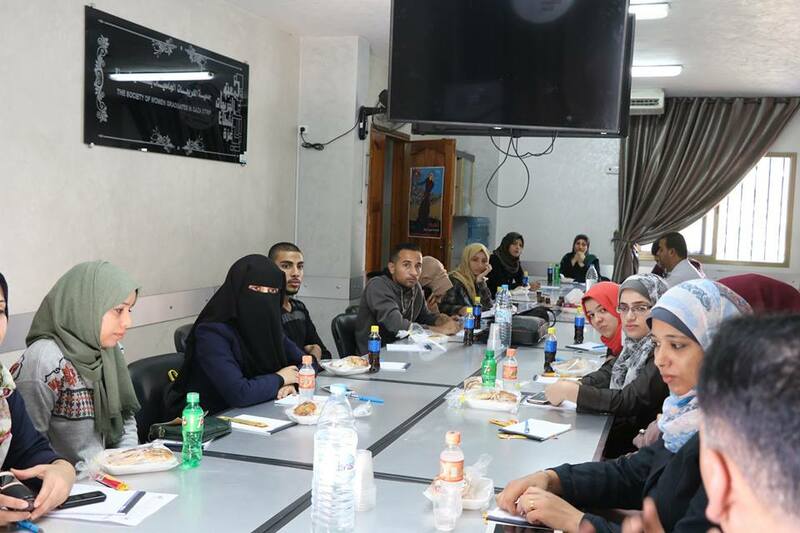 4- Increasing the representation and participation of women in the Palestinian, political and social life as well as giving them an open space to reinforce reconciliation and community integration. 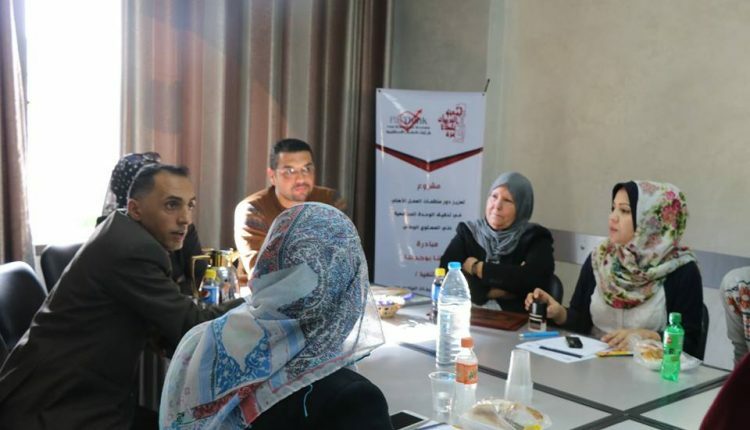 5- Demanding human rights organizations to provide legal support for the immunization of women against all forms of targeted violence in light of their public activities and their political and societal participation.